Exfoliators are not something I use on a weekly basis, my skin is far to sensitive and prone to eczema for what are often harsh treatments. A muslin wash cloth with my cleanser is an adequate solution for me. I might use a scrub once a month or on holiday they are handy for removing the build up of SPF but it has to be super gentle. Antipodes Reincarnation Pure Facial Exfoliator is on a par with the Andalou Naturals 1000 Roses Exfoliator which I reviewed a while back. The jojoba beads are very small and the cream base cushions the skin to give a soft exfoliation. It doesn't feel like much but that's exactly what I need and I notice the difference on flaky patches. I like to follow this up immediately with a nourishing facial oil otherwise I find my skin a little parched of hydration. This is just how it is with exfoliators on my skin and why I don't use them on a weekly basis. The scent is cedarwood and sweet orange, for me, the latter is the dominant fragrance but it's very gentle on the senses, not overpowering. For me, Antipodes falls into the luxury price bracket but I do feel they can offer a worthwhile investment. You can certainly stretch the tube out for many months is you are not using weekly and I don't feel as if I need to apply a large amount of product. Other Antipodes products I enjoy using are Grace Gentle Cream Cleanser and Rejoice Day Cream. Antipodes is widely available online including at **Lucy Rose. 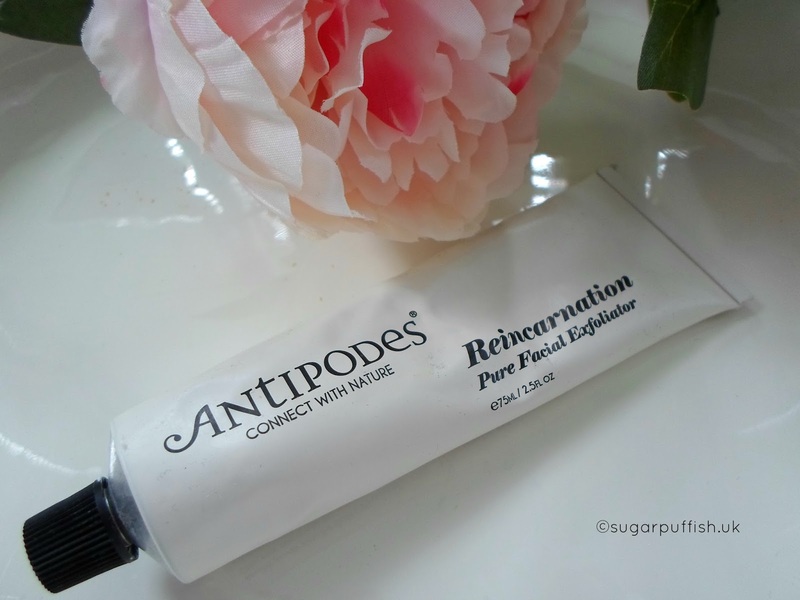 Have you tried this exfoliator or any other products from Antipodes? What's your favourite? I'm a big fan of this exfoliator. I like to use it on dry skin for a little extra exfoliation as, as you mention, it does give a soft exfoliation. I would buy this again.